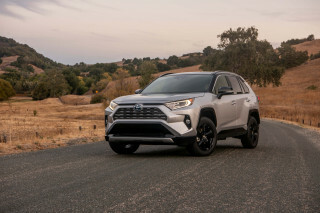 We get our first drive in the extra-efficient 2019 Toyota RAV4 Hybrid. President Trump plans to make acting EPA head Andrew Wheeler official. Tesla CEO Elon Musk plans more and faster Tesla Superchargers. And our Twitter poll asks readers to give thanks. 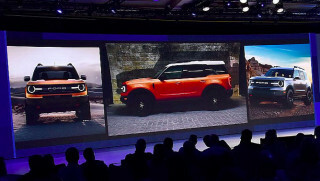 All this and more on Green Car Reports. 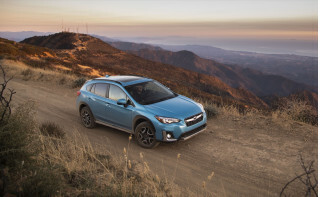 We get a first drive in the 2019 Subaru Crosstrek Hybrid with its 17-mile plug-in range. 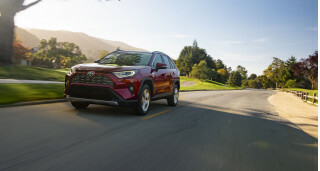 Our first drive of the 2019 Toyota RAV4 Hybrid samples its more capable hybrid system with significant fuel-economy gains. President Trump's pick to head the EPA, Acting Administrator Andrew Wheeler, may be more successful at rolling back environmental programs than his predecessor, scandal-prone Scott Priutt. On Twitter, Musk announced that Tesla plans to begin rolling out faster Superchargers early next year and will double the reach of its Supercharger network by the end of 2019. For Thanksgiving week, our Twitter poll asks what green-car developments our Twitter followers can find to be grateful for in 2018. We found a few. Following its introduction of an electric conversion for its classic E--Type, Jaguar is considering a fully-electric powertrain for its next F-Type sports car. Finally, scooter and bike-sharing company Lime has started offering cars to share in Seattle. 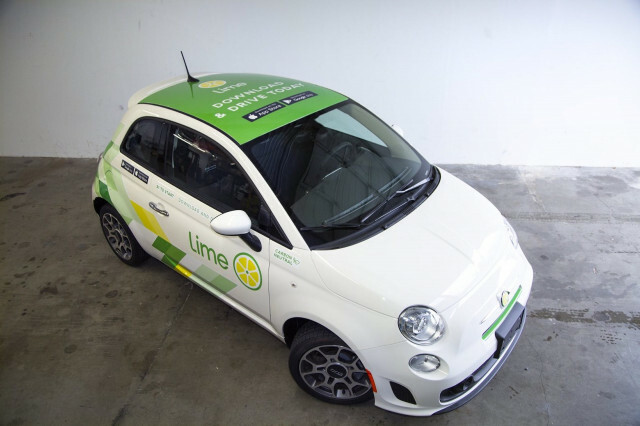 The Fiat 500s (not 500es) are painted white—and of course lime green.